This week I'm linking up with KissinBlueKaren for Beyond the Books. This is a meme where we all answer a non-bookish question. It's always so fun to see everyone's answers and get a peak at the blogger beyond the books. This week's question is - What are my bad habits that I don't intend to give up? 1. Diet Coke - It seems every week there's some study about how Diet Coke makes you fatter, kills you quicker, makes you glow in the dark, etc but I love the stuff and while I do try to drink more water I don't see me getting rid of my Diet Coke addiction anytime soon. 2. Staying up too late - When I read The Happiness Project by Gretchen Rubin one of her big things is going to bed early. So I tried it for a few weeks and it absolutely sucked. I didn't wake up any easier and I didn't feel any better during the day. In fact the only result was that I got less down time to do what I want to do. 3. Buying too many books - I know I have a ridiculous number of books and really should take a year off of getting new books so I could get the stack down a little. But it's so not going to happen! 4. Long, hot baths and showers - There is nothing more relaxing than a bath or a shower and I usually try to do one of each a day. I love super hot water even though I know it's bad for my skin. I'll just put on extra lotion because it's so worth it! 5. Coffee Creamer - I get an assortment box of K Cups from my favorite brand off Amazon and I love having a selection of coffee creamers to compliment the flavors with. I know coffee creamer is pretty much all fake stuff but it's delicious fake stuff! So what are your bad habits that you plan on keeping around? I'm with you on Coke although I drink regular (yes I'm bathing my cells in sugar or high fructose corn syrup or whatever it is) but I can't help it! :) And staying up too late- I do that too. Usually it's netflix and "just one more episode". Yeah right! Haha! I am addicted to French Vanilla coffee creamer. I can't drink my coffee in the am without it. It is a bad, bad day here when I am out of the stuff. As a result there is almost always 2 bottles in the fridge. Staying up too late and bying too many books...you are in good company here! I drink regular coke too. I try to give it up, but... I always come back. I drink half and half in my coffee, nothing sweet and i'm not giving it up. AND...yes, spending TOO MUCH money on books. (sigh). I'm sure I have tons of other bad habits, or maybe just a couple, but I can't think of them right now. I love Diet Coke too. Actually, when I drink soda I only ever drink diet because I like it better. I really hate regular soda. It's so heavy and syrupy. But, I don't drink soda all the time either. I usually don't have it in the house, but when I got out to eat or to trivia I usually get diet coke if they don't have arnold palmers (which is my favorite!). And I can relate to the whole buying too many books, thing. Yes, I can. I do like my showers. And yes, I procrastinate on housework. Oh well, life it too short to stress about that. I buy way too many books too. Although I've gotten better. Somewhat. :-) I've never really been a big bath person, but I love a long hot shower. Nothing beats that. Reading too much and drinking too much coffee and tea. My grandmom is the same with baths. Kills me. I'm more of a quickie shower in lukewarm water. lol My skin is too sensitive. I have a chocolate issue. It's so bad. And I'm a bit impulsive. :D Sometimes about the chocolate. Coke Zero. Downloading free Kindle books. I can't give up buying books either, although I'm always saying I will. This looks like a fun meme. Every single one of those except the coffee creamer and staying up too late. Sometimes I read far too late but I do go to bed fairly early as I'm more of a morning person. I adore scalding hot showers but I never met anyone else who did! I'm addicted to the black stuff and of course buying too many books goes without saying! I love Coke, a can a day is my limit though!! Staying up late can be a problem if I can stay awake! I definitely have the same problem when it comes to buying books, Katherine! And I, too love long showers and baths! I usually shower in the morning, and take a bath in the evening :D My skin is still on my body, so it's all OK. Awesome list! I'm totally guilty of buying too many books. I start out with good intentions and get what I want from the library, but then their due date comes and I can't renew them because someone else has them on hold. So I usually end up returning my haul of books to the library and just buy them. It takes a lot of pressure off! 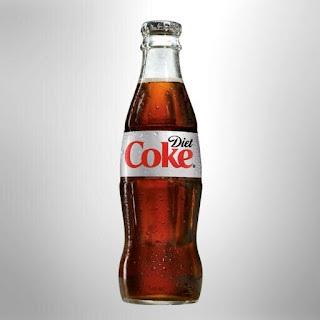 I gave up soda about 1.5 years ago, but I understand the addiction because I loved it. 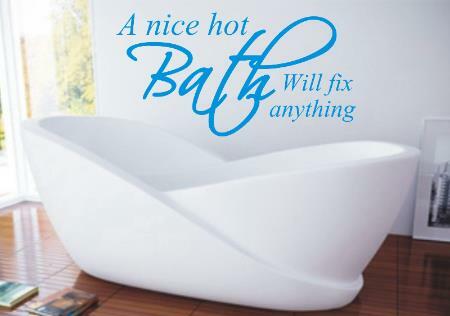 I love hot baths, but I have a crummy bath tub :( it's a dream for my house when we finally buy one. Yep, pretty much all of those, except the creamer. I did move to 1/2 & 1/2 years ago. This time of year, though, I can't resist the pumpkin and peppermint flavors! I love coffee creamers too! But you guys get soooo many flavours. I want the Christmas ones, but of course we don't have them. Or I just can't find them anywhere.